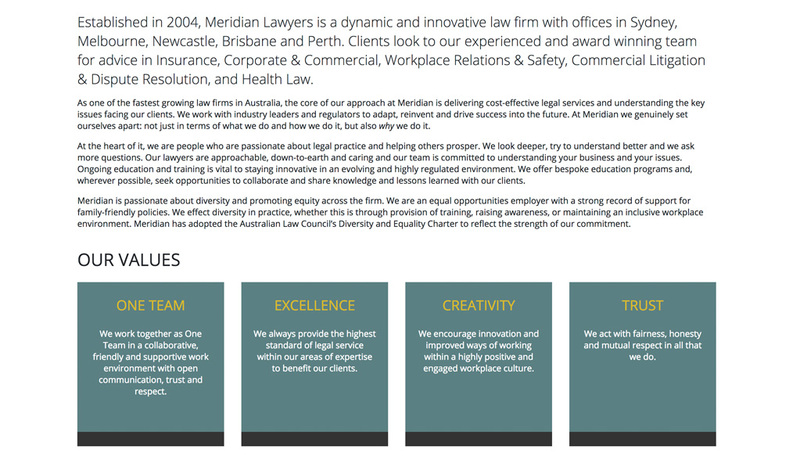 Meridian Lawyers had a website created with Hopping Mad Designs in 2012. 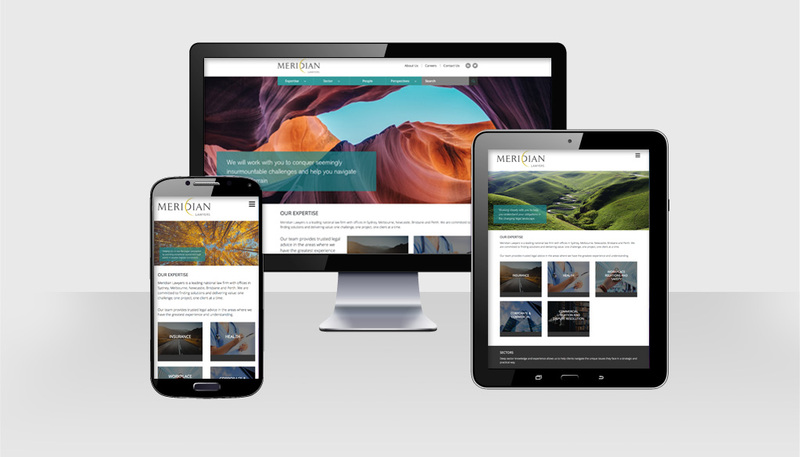 Well over due for a re-vamp, they returned to us to create a new responsive website. Hopping Mad overhauled the brand, bringing a contemporary, sharp edge to the company identity to better sit with the size and reputation of the firm. 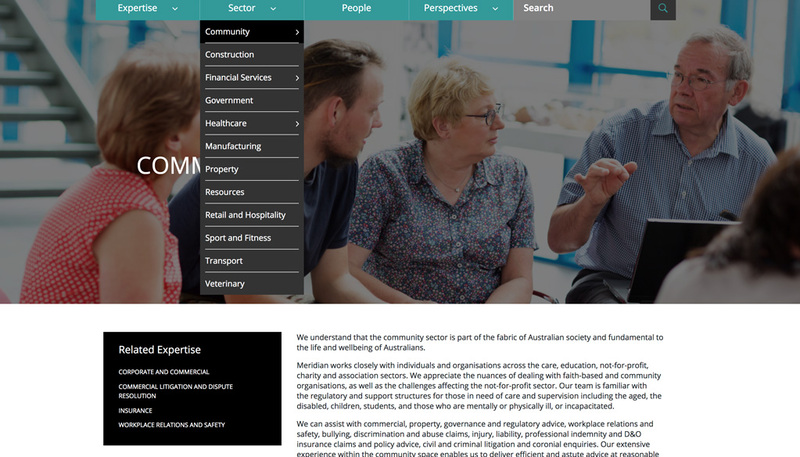 The website structure accommodates for several tiers of contents, with content filtered through sector and expertise. 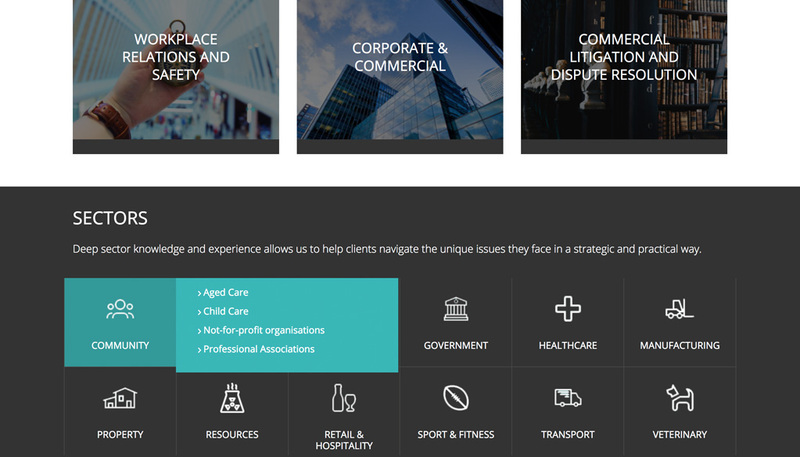 The site structure is consistent and clean to create a better user experience.